Phosphor bands. National nature week May1963. The cover is in very good condition with London S.E.1. Cds wavy line, dated 16th May 1963. Scarcer Fdc's. The cover is in excellent condition with clear Horley, Redhill Surrey Cds & 16th May 1963. Scarcer Fdc's. Very neatly opened along the top of the envelop to reveal the insert. FOR EACH EXTRA COVER. 1963 Nature - Selborne CDS - High Cat !! (Selborne CDS. 1963 Nature (Ord). Cat £120 with the full set! UP TO £25 total order value). at personal signings. We have over the years hosted a number of these signing events. which is one of the largest in the UK. WITH BROWNSEA ISLAND. SG637/8 ON PLAIN FDC. 1963 NATURE WEEK SET OF 2. 1963 Nature. at personal signings. We have over the years hosted a number of these signing events. twenty years …. Rest of the World. which is one of the largest in the UK. We also deal in autographs, many of which we have acquired. 1963 Nature - Illustrated - Southampton 'Phophor T' Slogan - Cat £40 ! Stanley Gibbons Catalogue Number: SG 637p/8p. Condition Report: Clean envelope in good condition. 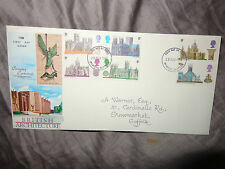 CONNOISSEUR ILLUSTRATED FDC. 1964 GEOGRAPHICAL CONGRESS. SET OF 4 SG651/654. FINE USED ON. CDS CANCELLATION. New listingGB 1963 NATURE WEEK ORDINARY F.D.C. NON PHOSPHOR. Issue: BOTANICAL CONGRESS. Date: 5 AUGUST 1964. Cover: EDINBURGH CASTLE. OVER 35 YEARS EXPERIENCE. P lease Quote Our Ref: 735. Be sure to add us to your favourites list ! Cover: GPO. Issue: BOTANICAL CONGRESS. Date:7AUGUST 1964. FLAP STUCK DOWN. OVER 35 YEARS EXPERIENCE. Issue: BOTANICAL CONGRESS. Date: 5 AUGUST 1964. Cover: CONNOISSEUR. OVER 35 YEARS EXPERIENCE. WHY BUY FROM US. All show a small amount of wear similar to that in the pictured but bear a desirable handstamp. 1963 National Nature Week (phos) Illustrated First Day Cover FDI Slogan. Agriculture and Horticulture in the Bailiwick of Guernsey. 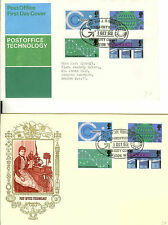 There is a card inside the envelope which explains about Agriculture and Horticulture in the Bailiwick of Guernsey. In great condition despite age. All show a small amount of wear similar to that in the pictured but bear a desirable handstand. Cover: GPO. NON PHOSPHOR. Issue: BOTANICAL CONGRESS. Date: 5 AUGUST 1964. OVER 35 YEARS EXPERIENCE. LAST WEEK ON SALE -. Shows a small amount of wear similar to that in the pictured but bears a desirable handstamp. Issue: BRITISH LANDSCAPES. Date: 2 MAY 1966. A FRESH CRISP CLEAN EXAMPLE. Cover: GPO. NON PHOSPHOR. OVER 35 YEARS EXPERIENCE.